I've made some modifications to Chopmeister's great feeder that he designed. His design uses Bertho's equally great filament variable pressure systems. . I have to say it again, chopmeister did a great piece of work with this and I really appreciate his efforts. 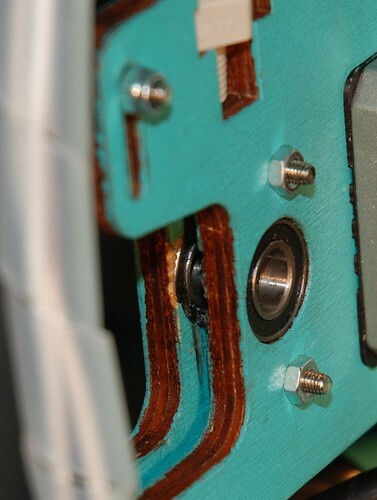 I had one major reason for wanting to replace the entire wooded unit besides Bertho's mechinism, mainly the wood retaining the bearings at the back (system reference) was chipping and there was significant wearing of the wood where the filament ran along the wood side. I also noticed that the delrin slide block was worn down forming a V with the wood block making the rubbing on the wood worse. I think this was originally a problem from the ID of my PEEK being too small, constricting the Bowden tube, requiring more force to drive the filament through the head. I know that UM have their new feeder, but I was already working on this when that came out. I had sent them pictures of the chipping but I think their opinion was it was due to my crap paint job. And their right, it is a crap job, but I don’t think that was the problem. I think long term, wood and rubbing is not a good mix. 1. Was difficult to source a long enough bolt (> M4 50mm) to retain the spring, this design uses a 40mm screw and would even work with a 30mm if you have a short, strong spring. I’ve also added recesses to both ends of the spring mounts so they don’t slide around. 2. Thickened the walls of the spring holder, reducing flex makes it slide along the idlers better. 3. 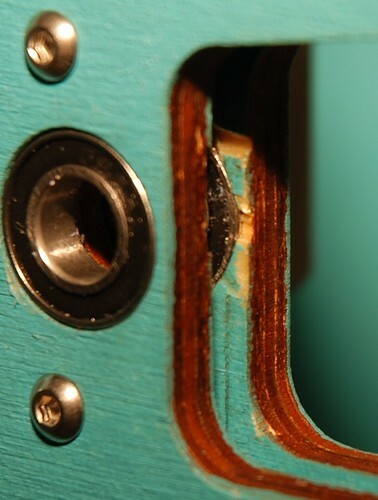 Reversed the bolt so that the head is in the idler and the open end is at the knob, like Bertho’s design. The original limited adjustment and made it difficult to know how far you could back off the knob. 4. The original bearings from the stock feeder are used instead of the skate bearings which are too wide for the V2 hobbled bolt. 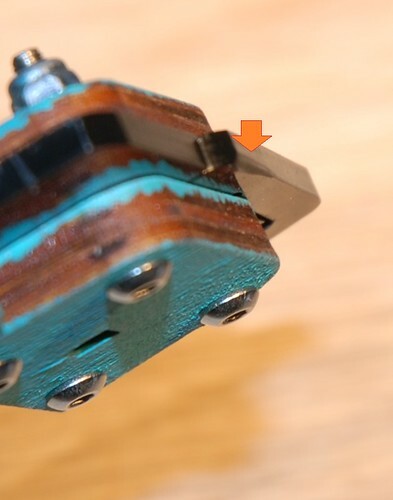 Chopmeister kindly created some inserts but they were difficult to align and were too far back causing rubbing when inserting or removing of the filament. 5. I’ve added a lever to the spring assembly that makes it easier to hold and close the latch of the spring assembly. , instead of the original quick release. I’ve also expanded the entry for the filament like a cone to make inserting filament easier. I will put a copy of it up on verse as a low priority but if there is interest I can put it up earlier. I also have some wood chipping in this area, and just had to clear a nozzle clog due to splinters getting carried through the bowden tube to the hot end. I am considering a guard made from shim stock to apply in this area, I haven't quite come up with a good solution to hold it in place just yet though. I also got the same wear groove in the delrin piece after maybe 1 kg of filament used, but now UM has upgraded their idler design to a Bertho-inspired design, so this shouldn't be a problem anymore.